Your customers can take your brand with them everywhere on their phones. Our Digital Points & Punch Cards are part of our Loyalty Rewards Suites. Configurable for your brand, background, punches, points & gifts. It has been designed to be automated so the program can nearly run itself. 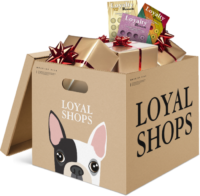 You can choose up to 3 gifts to offer on your Loyalty Card and we will track earned gifts & offer expired gift management. Works with any phone, tablet or computer with no software to install by you or your customer. The Loyalty Rewards Suite is easy to brand with your company Logo & Name. Choose from many of our backgrounds & button looks on your Loyalty Card to create the look you'll love. Choose Punches or Points with up to 3 gift levels. We make it easy for you to identify, group, communicate with and reward your VIP Customers. With our Loyalty Rewards Pro VIP Service, you have what you need to take great care of your best customers. VIPs get their own exclusive Loyalty Card with different punch or points levels and up to 3 gift choices. You can give them more of your contact details as well. Communicate with your VIPs directly. we create a dynamic VIP List so you can email and text your VIPs. Perhaps invite them to an exclusive shopping group once a month so they can shop alone. Easy to do with LoyalShops VIP Services. There is a VIP Email they receive that you can customize and you can give them your own exclusive offerings. They just click on the crown on their loyalty Card to see your exclusive offers. You can either manually promote a customer to VIP at anytime or set a lifetime punch level to automatically trigger VIP. Taking care of Loyal Customers leads to more sales. Efficiently managing customer loyalty gives you more time to focus on income producing activities. We help you take care of your customers through automation and leveraging customer knowledge so you can put more time into driving sales. Gift, Giveaway & Credit Management. we will help you record, notify customers & help drive repeat business. Expiring Gifts - Drive faster return shoppers with time limited gifts. even get an automated expiration notice sent to remind customers. Exchange & Return Management - Exchanges happen, but keeping track of returns in a rapid business can be challenging. We help by offering a salable set of automated processes that you can manage yourself. We track all your Gift giving and even have a running list by date & type of all your gifts by year. Your ready to hand the list for tax season with Loyal Shops. Virtual Business Card - included with your Loyalty Cards is your business card. All the contacts are active and can be accessed by touch. All contacts can be changed dynamically. Track giveaways & gift certificate denominations digitally so you and your customer can see the gifts and track the credit use. When redeemed, you can check gifts off or you can redeem all or a portion of a credit. We will not punch giveaways. Expiring Gifts/Giveaways with automatic expirations emails to warn/ nudge to shop soon with you! Returns sometimes happen, how to keep track?. You can publish a Return URL so all your customers can use it when needed. Emails are auto-generated to keep the customers in the loop and show them their credit total. We show the customers your return policy, then let them request an exchange. You can accept or turn down the request. Record customers exchanges for credits. Automate your Loyalty Rewards Card Punching while gathering customer knowledge so you constantly gain more insight on your customers and deliver more tailored services. For our Pro Subscribers, we offer Auto Punching of your costumers Loyalty Cards. This works for online sales like Facebook & Periscope and Pop-ups as well as in house pop-ups. From the paid invoice receipts for each customer, we can automatically invite new customers to Loyalty Program and punch new and existing customers Loyalty cards, so you don't have to. Its 100% automatic! Records the past two weeks of punch records of your reference in the Auto Punch dashboard and each customer history list of their punch and gift history. Full item discount and full order discounts are not punched, partial line item discounts are optionally not punched. For our Standard Subscription customers, you can manually punch at Pop-ups and also from out customer Dashboard for online sales as well. Now see a history per customers including the styles, size, price they have purchased and the price & date! Social media platforms continue to drop organic reach to your customers and so Email Marketing gives you a direct line to your customers that is affordably included in your Loyalty Rewards Subscription. Emails include your company logo, optional headline, up to 3 picture and text boxes along with a closing signature. Loyalty Rewards Standard Subscribers can send 2X per week, Pro can 6X per week. LIVE Assistant is an automated helper for seling products on Facebook Live. LIVE Assistant is the extra set of hands you need during a live sale, that is always available! Often you may not have an assistant for your Lives, so Live Assistant is that always available assistant managing & recording all your sales. Tracks Claims, Wait Lists, Multiple Quantities up to 15 and even manages when customers Pass and hands claims automatically to next in line. You can customize all of the responses Live Assistant makes to your customers to follow your rules with your personality. Includes opening comments, multiple claim win responses, passing and even a open keyword you can customize how it's used. Instead of searching comments for Solds, you have real time dashboard showing who is claiming, who are the runner ups. Presented in a LARGE FONT for easy reading from presentation distance. You can also tell how long you have been online and how many items you have sold. Quick selection Item & Variation as well as Quantity selections. If you have 2 or more of an item, we can track each sale of the same item separately. Choosing Style & Size significantly cuts invoicing in half or more for medium to large sales with less invoicing mistakes. Sales History gives you a full list of your customers that claimed, how many items they claimed , what items & variations they choose, and lists any runner ups in case someone passes or doesn't pay their invoice. Live Commenting automatically records all Lives for real time or after Live reference searching. Works incredibly well with an assistant to watch the Live remotely seeing and being able to access all comments with lightning fast search or just show Solds. Designed for your Small Business to be easy to use and easy on the pocketbook! With an understanding of small & home based sales, we designed this product to grow your business for the least amount of money. SMS+ Deliver colorful & compelling messages with 134 text characters with emojis or 306 text characters. MMS - Truly tell your story with impactfull pictures, emoji's & 10x the text. With our built in MMS wizard easily create impactful texts like the one pictured here in seconds. Our texting service is designed for a home or small business to learn on 50 free messages every month. You can then grow at your pace with pace with pay as you go pricing for additional messages. Messages start at 2 cents a message & without fixed tiered payments. As your business grows, we have numerous volume tiers that lower your cost/message for all messages during the current subscription month. It's like committed volume pricing, without the commitment. A free customizable Keyword is included with all our plans. We also include up to 15 Customer lists including 4 Smart Lists: Shop Live, Shop Albums, Specials & Open House. Live Assistant can automatically text out your Live Description and Shortened Deep Link to your Shop Live Customers. Web forms, Texting Opt-In, Opt-In Importing & Email invitations options are available to grow your Text Subscribers.